Bringing Baby Home is a workshop for pregnant couples and parents of infants and toddlers to learn parenting and relationship skills that will last a lifetime. 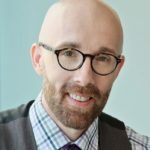 Seventy-five percent (75%) of couples experience a significant decline in relationship satisfaction during the first three years of parenting. Often, many don’t recover from the decline. Protect your relationship with BBH program. In this 2 day seminar, prepare yourself for life with your baby and discover how to be the best parenting team possible. This seminar is for both parents and expecting couples. 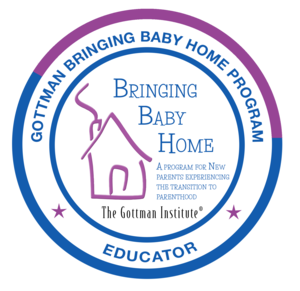 In a relaxed and supportive environment with Gottman Educator, Dr. Tom Murray learn how to strengthen your relationship with your partner and foster your baby’s development during this new and challenging time in your life. Create a caring and nurturing atmosphere in your home and learn to cope with conflict in a positive way. Bringing Baby Home is different than other classes for new parents. It is based on scientific and public education to improve the quality of life for babies and children by strengthening their families. Dr. John M. Gottman and Allison F. Shapiro’s research has shown couples who have taken the Bringing Baby Home workshop show a dramatic increase in relationship quality and ability to handle the difficult relationship transition of moving from a couple to a family. Can we bring our child to the workshop? Answer: Yes. Children ages 0-3 months are welcome. Older children may have more challenges since they require greater levels of stimulation and interaction. Must both parents attend? Answer: This workshop is best when attended with a partner; however, this doesn’t have to be the other parent. A grandparent or another caregiver may attend.